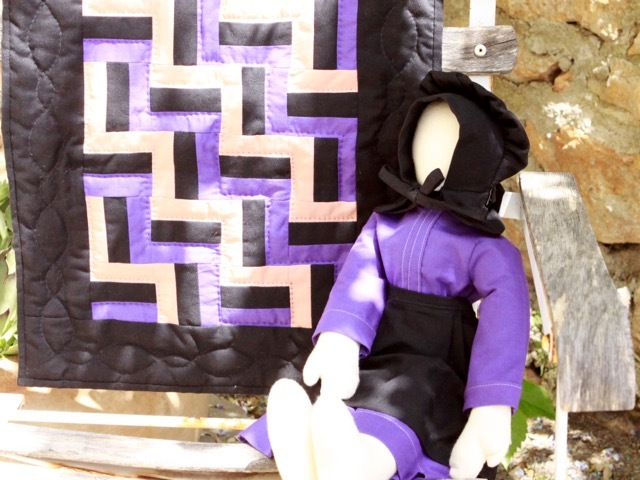 When I entered a quilting group in Athens twenty years ago, together with finding a passion for quilting, another passion was revealed to me : the Amish art and way of life. I was absolutely fascinated by this community and its history. Needless to talk about their quilting art... 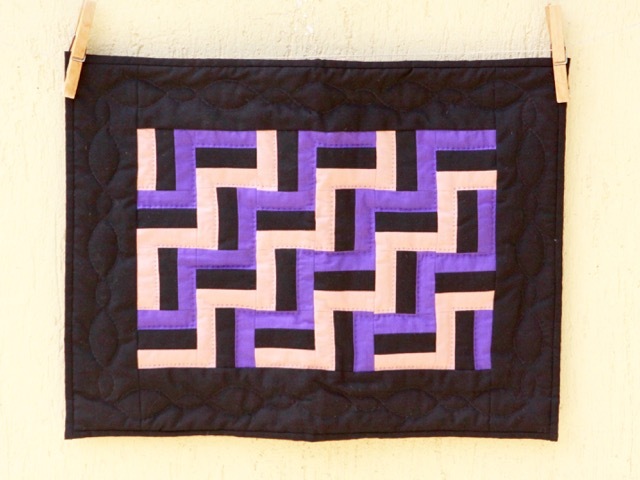 I discovered the incomparable beauty of their quilts. Their patterns and colors reminded me of modern art such as Vasarely's paintings. I learnt later that this painter was probably inspired by the Amish quilts. A dream of mine was to visit an Amish community, but I thought this would happen in another life... when six years ago my eldest son moved to Chicago for his job. I went then to visit him and he had prepared a surprise for me : a road trip to Indiana where an Amish village called Shipshewana is located. We spent few days there and I thought I was in paradise, but my son was feeling rather like being in purgatory! Anyway, we both enjoyed this wonderful area. I enjoyed the extraordinary quilt shops. I will remember this trip as one of the most beautiful I ever did and will always be grateful to my adorable son for this gift! Before this, when I discovered the Amish art, I bought from an American book shop in Paris (there was not internet and Amazon at that time) all sorts of books, patterns... relative to the Amish way of life and quilting art. The lack of facial features is due to Old Testament commandment against graven images. fabrics matching her clothes. It is machine pieced an hand quilted. The size is 18.50"x14". The finished blocks measure 2.125"x2.125". C'est un merveilleux cadeau que t'a offert ton fils ! (Même s'il s'est un peu ennuyé à Shipshewana) !! Hihi ! 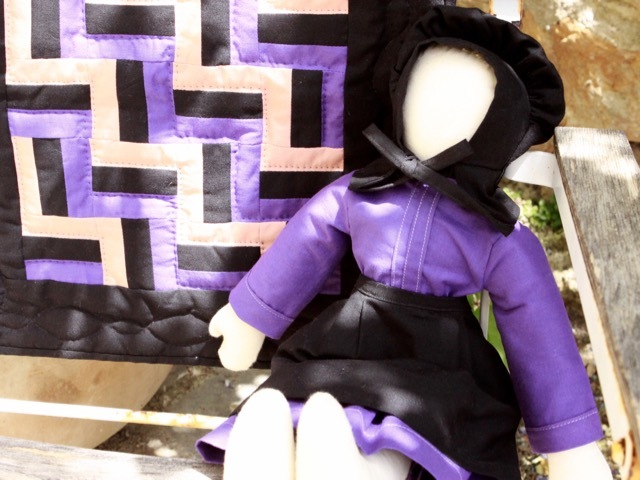 Ton doll quilt est dans la pure tradition amish et je l'aime beaucoup ! Lovely story, Christine and very pretty doll. I too have books about the Amish and I find their quilts so interesting. Lucky girl for being able to visit there! The doll and quilt are so sweet Christine. Thank you for your comments on my blog too. You are still a no-reply. What a wonderful story and sweet doll and quilt. I wonder if there is any limit to your creativeness? It seems you've always been clever with a needle. Thanks so much for sharing this story and the photos. J'ai vu quelques photos de cette ville de l'Indiana où je projetais d'aller, tandis que ma fille passait 10 mois à Indianapolis... Malheureusement tout est passé trop vite et on n'a pas pris le temps d'y aller ! Les Amish m'intriguent également. Ils ont une sage manière de vivre, avec d'énormes points forts, mais aussi des principes bien rétrogrades, mais l'ensemble en fait un refuge contre les excès de la vie actuelle. Les Etats-Unis sont bien une terre de liberté et de contrastes ! What a wonderful story about your son's surprise Christine! We too love to visit the Amish communities near us. A lot of the wooden furniture in our home is Amish made. It seems like there are more and more and that their faith has been growing. I hope so! 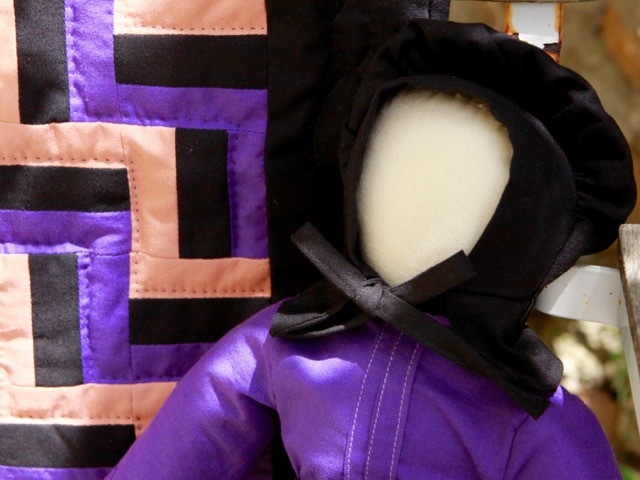 You captured exactly the right look with your sweet doll and her little quilt. I so enjoyed this post. Thank you for sharing. I too think the doll and her quilt are just right.